Wow, how news and reporting has changed. A massive Earthquake hit the ocean just a few miles off the Japanese coast just a few hours ago and now the whole World is buzzing about it. Twitter is 99% about the disaster, everyone is glued to a TV or some kind of live stream. It’s absolutely ferocious. The devastation is incredible, floating burning buildings on solid sheets of water devastating everything in it’s way. It’s like watching some terrible disaster movie…but even worse knowing that it’s real and real people are involved, people are dying, homes are being destroyed and families ripped apart. 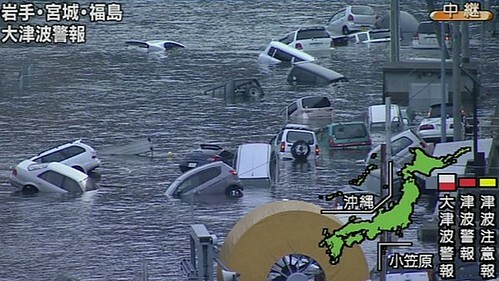 53 countries and territories are on the watch or warning list and the death toll is climbing in Japan. A 1 meter high Tsunami is expected to sweep along the entire coast of the Philippines and tens of thousands of people are being evacuated from islands in Russia. 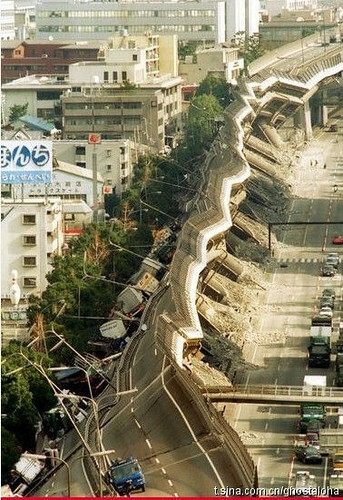 I remember when we felt the earthquake here in Malaysia back in 2009 and a Tsunami warning was issued. I can’t imagine the chaos in Japan right now. My thoughts go out to those effected. The sad part is, it’s not over yet? Many more countries could be hit with a solid sheet of water. Predictions put the next to be Taiwan at 5.40pm, Philippines 6-7pm and Indonesia at 6.50-7.40pm. I’m also impressed how the news spread out!! It was a horrifying event and the subsequent aftermath i.e. the possible nuclear meltdown is even worse than thought. 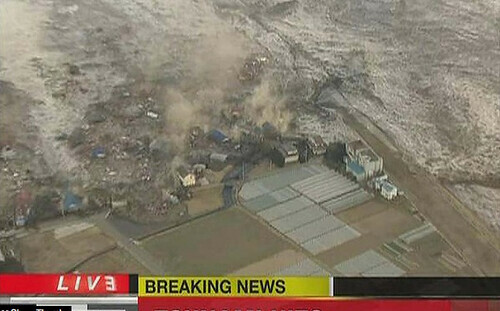 Prayers and blessings for the people of Japan. Far: Yah the news spread super fast, awesome to see social networks enabled people to spread news to their loved ones too.